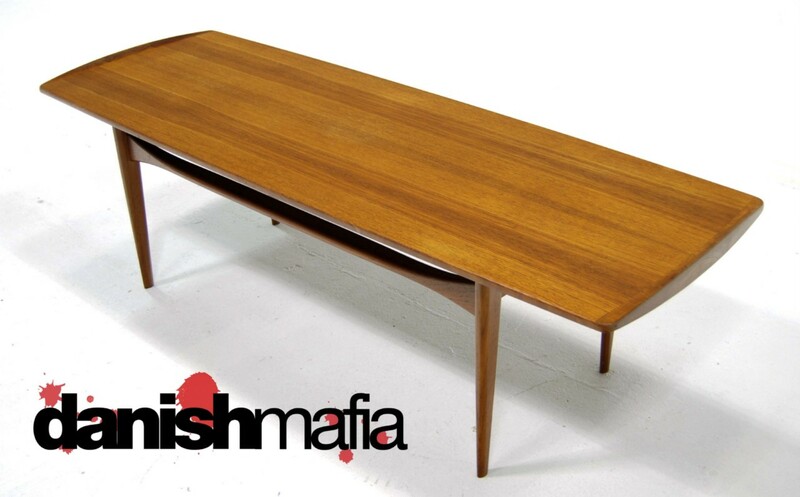 This is a Very High End, Danish Modern Teak Sofa Coffee Table designed by Kindt-Larsen!! 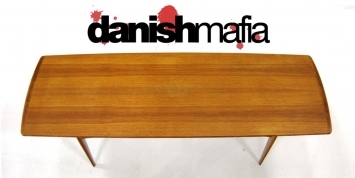 This piece is AMAZING, not only designed by one of the greats but also made by one of the highest end Danish cabinet makers of the time, France & Daverkosen also known as France and Son. 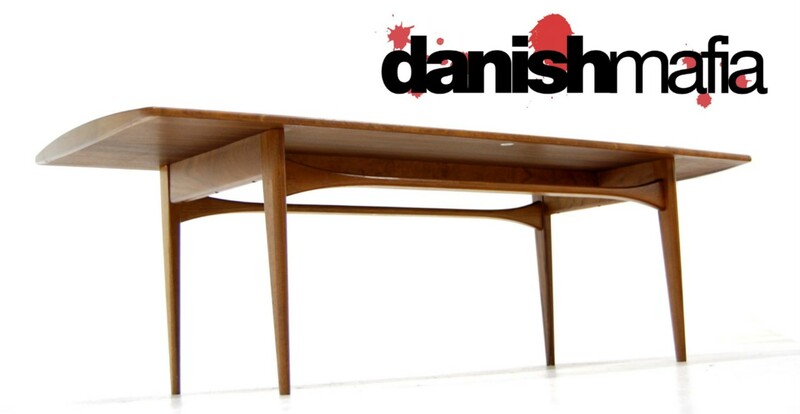 The “lip edge” design detail adds a great look, so Danish!! 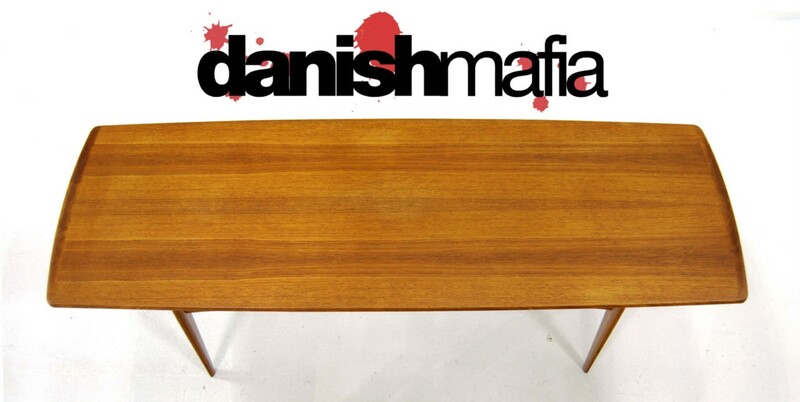 Notice the Solid, Sculpted Teak cross supports, so HOTT!! Stamped with an early France & Daverkosen label also makes this piece HIGHLY Collectable!! 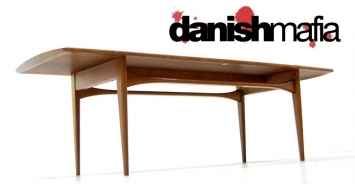 France & Daverkosen made pieces for high end designers such as Grete Jalk, Finn Juhl, Peter Hvidt, and Kindt-Larsen. 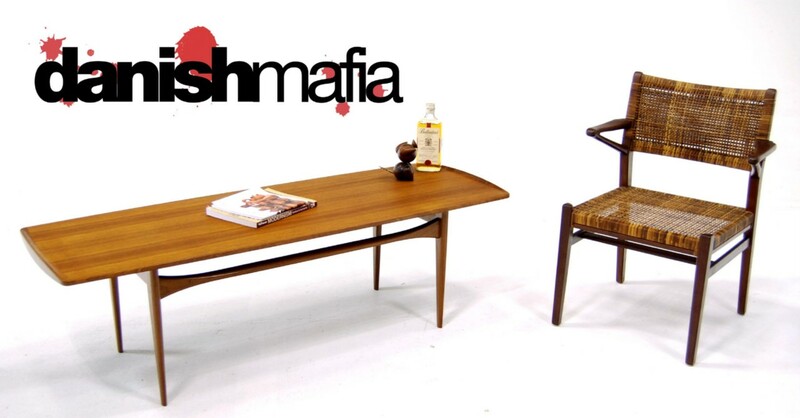 We also have the matching Side / End tables pictured here, available in our other listings. Don’t miss your chance to own this HIGH QUALITY Table!! Overall condition is Excellent! 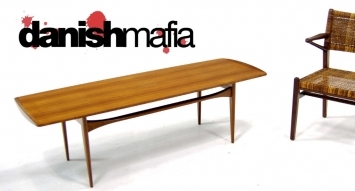 Table is sturdy and overall very clean. Expect some very light scattered marks, but nothing that takes away from the beauty or value of this piece. Contact us for detailed photos as we always try to show the worst of any age related wear. 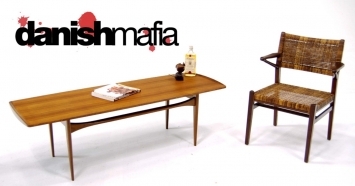 #1- We can have this table shipped to your home, fully insured for approx. $145. Please contact us with your zip code for details and an exact quote before bidding.